Want to see the power of our car remaps? You’ll feel the turnaround in your vehicle, either behind the wheel or in your wallet. But if that’s not enough, we can provide you with a before and after dynamometer test to show you what we’ve done in graphical form. 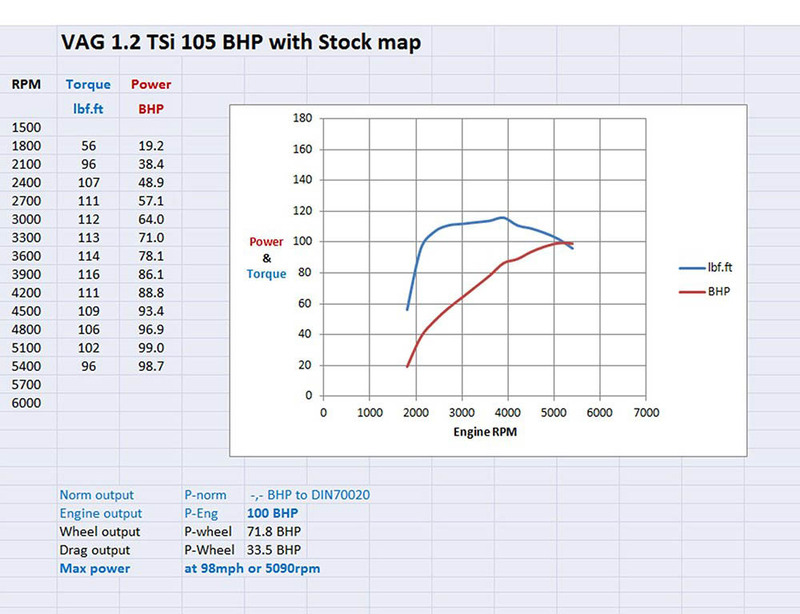 From time to time, customers ask for torque and power curves for the map that’s been applied to their vehicle. It’s difficult to provide this, though, as each map is custom written to the requirements of the client and the specifications of the individual vehicle. With your engine, for example, a great deal of time will have been spent under test to determine what can safely be achieved. The map we provide to you will be tailored to your requirements. For example, many clients need plenty of torque for towing a caravan. Others are looking for maximum economy or blinding power at the high rev range. 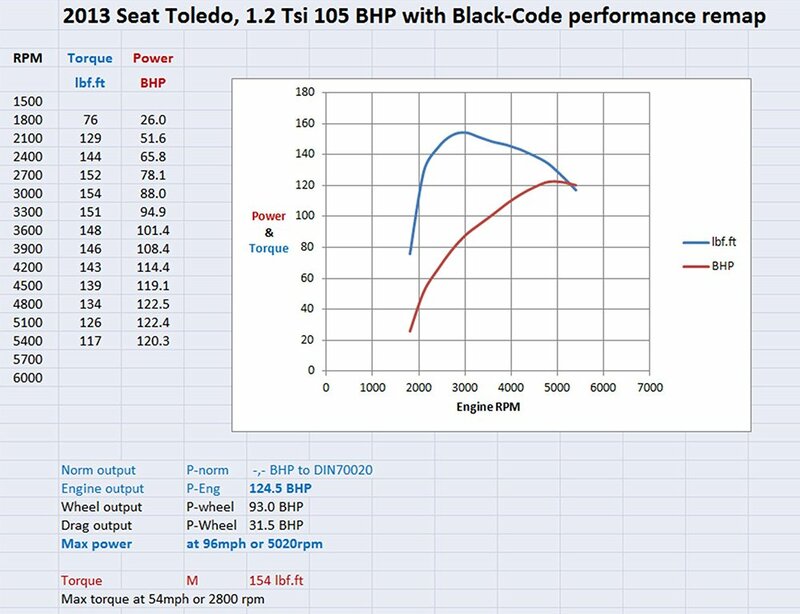 The torque and power curves will be different in each case, but in every case we’ll take into consideration the extensive development work done with any particular engine type. 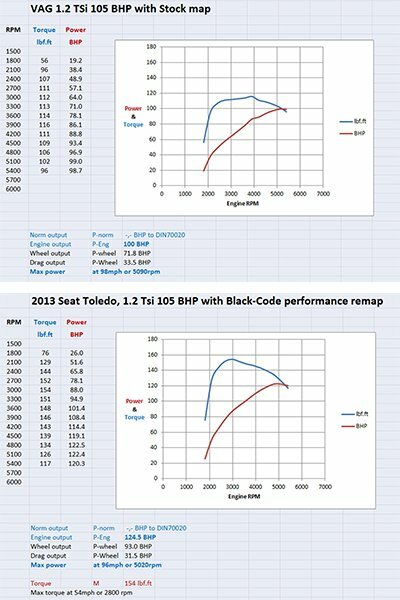 If your car has a sports exhaust, induction kit, up-rated inter-cooler or other modification, then we can remap your ECU to exploit the full gains from these modifications. Often referred to as a Stage 2 remap, the software will be custom written for your modifications. We can provide a rolling road (dynamometer) test to demonstrate the torque and power curves both before and after remapping. Print outs will also be included in this service. We use a number of rolling roads, depending on the area, but work closely with Rolling Road Services at Stourbridge and Hi-Tec Motor Sport of Kidderminster. The additional cost of a ‘before and after’ Rolling Road test with Torque and Power Printouts is just £60.